Named after distinguished U.S. senator and railroad president Albert Smith White, the small-town locale of Whitestown, IN, offers laid-back living and the amenities of the state capital just a few miles down the road. Locals and tourists alike will find no shortage of things to see and do nearby. Our Toyota dealer near Whitestown, IN, wants to help you explore the area your way. 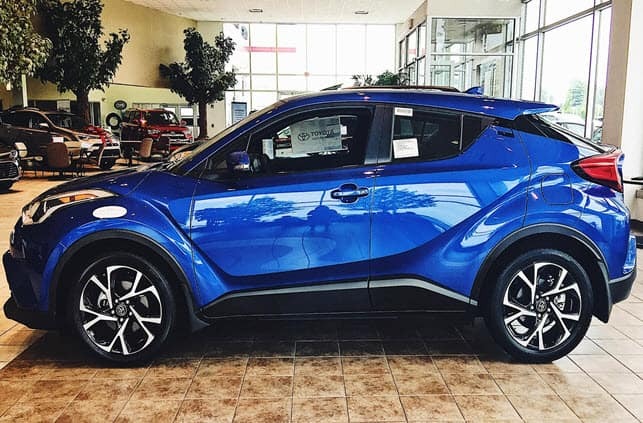 We can equip you with your next new Toyota vehicle, and much more, so you can experience all the area’s plentiful treats. 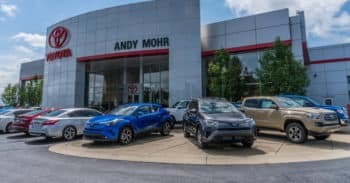 Read on to learn how Andy Mohr Toyota can serve you! You can find all the latest Toyota models right here on our lot, from Camry and Corolla sedans to RAV4 and Highlander SUVs to Tacoma and Tundra pickup trucks. Whatever your transportation needs, there’s a car here that can handle them all. Check out our new vehicle specials for discounts when you lease or buy select Toyota models. If you’d rather buy used, our inventory of certified preowned vehicles is a great place to find lightly-used Toyota cars, with extended warranties. We also have a wide collection of used cars from popular brands other than Toyota, like Chevy, Ford, and Honda. No matter what you’re looking for, our auto experts can help you find it. When you’ve found a car you like, our finance team will sit down with you to help examine your budget and create a payment plan that works for you. We’ve nurtured good relationships with banks and credit unions across Boone County, and we’ll work with your chosen lender to get the lowest rates possible for you. Our team makes it easy to apply for financing online. If you’re worried about your credit, don’t be, as we have opportunities for special financing that make it easier to get behind the wheel of your next vehicle. Even if you have no credit, you can still get pre-approved. If you wish to see more services we offer at our Toyota service center, call the dealership and ask to speak to one of our friendly technicians! Once you’ve driven your new car off our lot, you have plenty to explore in and around Whitestown! We recommend you check out the local farmer’s market, held each Saturday from June through September. The annual Whitestown Brew Fest is worth checking out, too. It’s a new tradition, but a good one! For a delicious meal out, there’s a wide array of restaurants with some of the best classic American food in the area. And, if you’re looking for big-city amenities, Indianapolis is just a few miles south, and its bars, restaurants, parks, and motor speedway make for a great day of entertainment. To start shopping for your next car, search our new- and used-car inventories. You can filter by model, year, body style, and more to narrow your options. When something catches your eye, schedule a test drive at Andy Mohr Toyota in Avon. 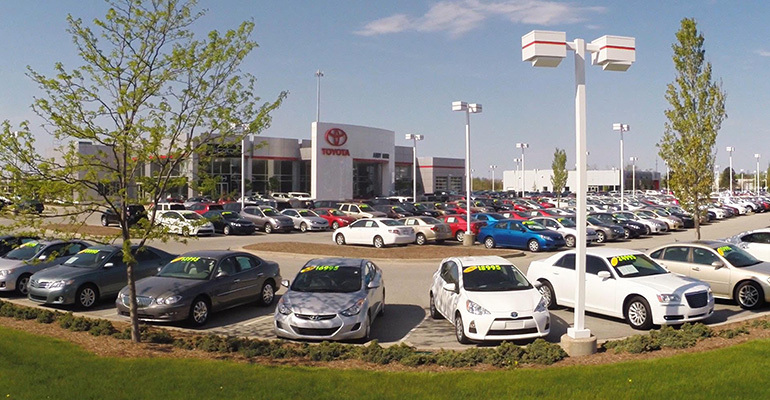 The automotive experts at our Toyota dealer near Whitestown, IN, can answer your questions about any car on our lot. We’ll do everything we can to help you find your dream car!